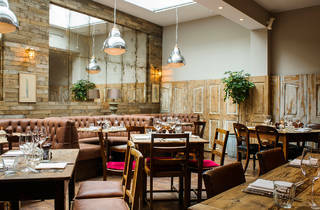 Gorgeous reimagining of one of Chelsea’s oldest pubs. 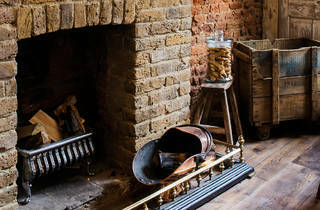 This 300-year-old pub in Chelsea’s heartland has fed and watered many imbibers, famous and otherwise. 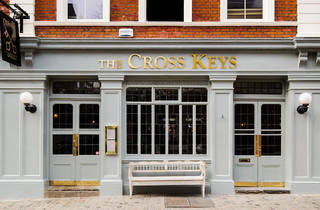 Before its annus horribilis in 2012, when it was closed, threatened with redevelopment into a luxury residence and then occupied by squatters as a protest, The Cross Keys was a creaky old-school boozer complete with flagstone floors, Chesterfield sofas and a conservatory dining room at the back. 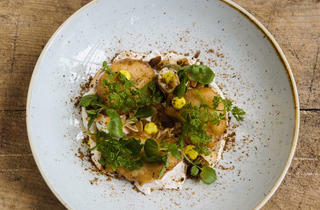 With new owners and a chef enticed from Fulham gem Medlar, it’s now gone the full gastropub. Happily for local drinkers, more than half of the refurbished space – a sea of rustic wood, tarnished mirrors, and flattering lighting – is still the preserve of the bar. Cask beers include the local amber ale Portobello Star, but this being Chelsea, it’s the grape that really gets locals’ juices flowing. 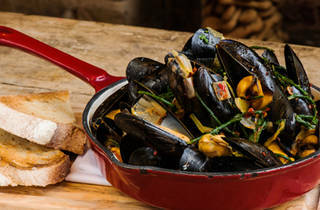 The wine list is French- and Italian-leaning, with just shy of 25 options by the glass. The bar has very smart nibbles: a scotch egg costs £6.50, but it’s the size of a goose egg. 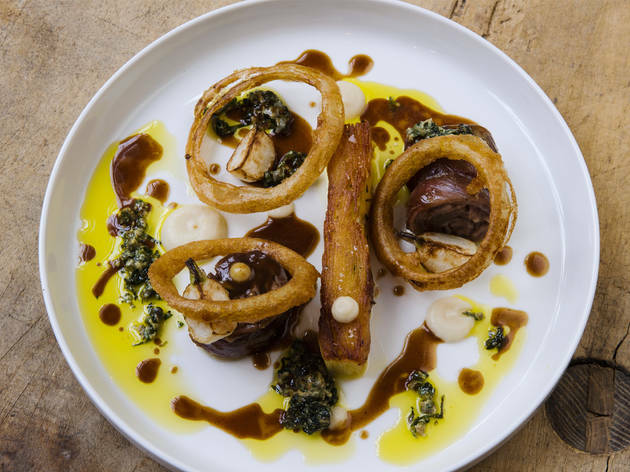 The Cross Keys has a really local feel – which in Red Trouser Land means boisterous bonhomie, cash being liberally splashed by the lords of the manor, and their well-mannered, fresh-faced sons waiting tables. It was rightly packed on a ho-hum weeknight. 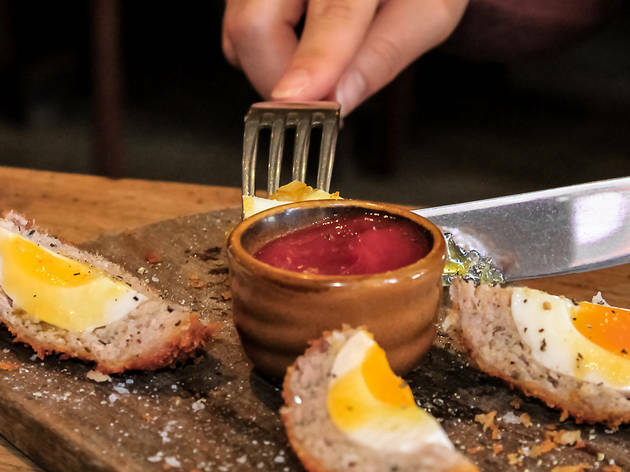 Nibble on some homemade bar snacks such as Scotch eggs, made with British free-range pork, whilst enjoying some carefully selected real cask ales. 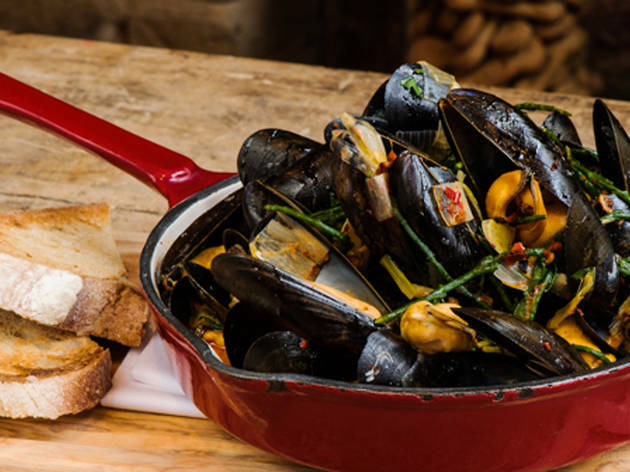 Enjoy our selection of freshly shucked oysters from around the UK with a classic cocktail or tuck in to something more substantial from seasonal dishes to pub classics and Sunday roasts served with a bottle from our fine wine list. 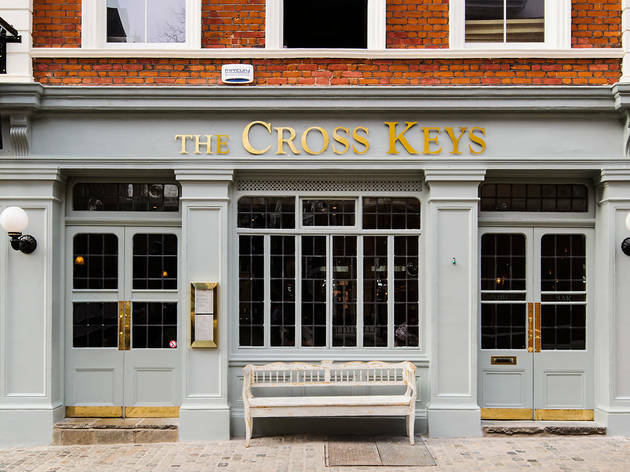 Nestled on a residential street, a stone’s throw from The King’s Road, Chelsea Embankment and across the bridge from Battersea Park, The Cross Keys offers the perfect British pub experience. This pub looks really cool with it's decor and having a drink there is really quite enjoyable. Service is friendly. The restaurant at the back also looks fab. However on popular days e.g. 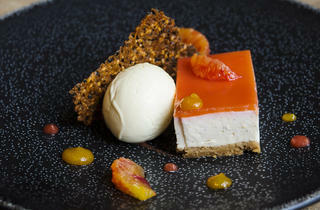 bank holidays you need to book in advance and the food is generally quite pricey. 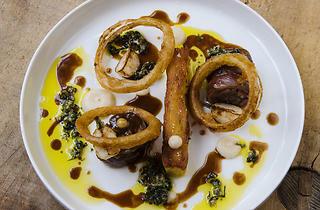 Food is nice though, with tasty meat and fish dishes, classy pub fare. 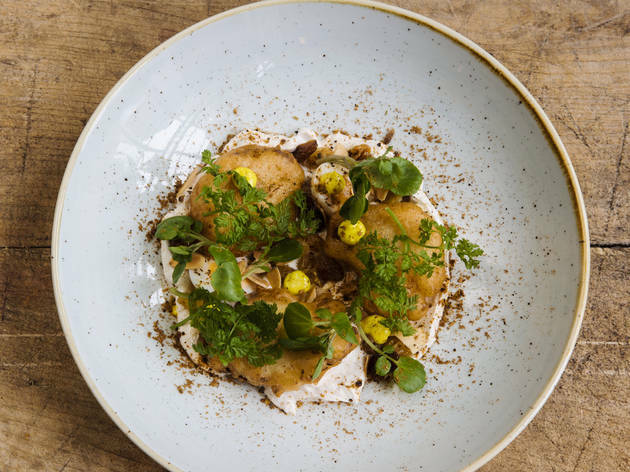 Having frequented The Brown Cow on The Fulham Road, I was intrigued to explore what their sister pub The Cross Keys has to offer, with a Michelin trained Chef and a Chelsea location things are looking good. 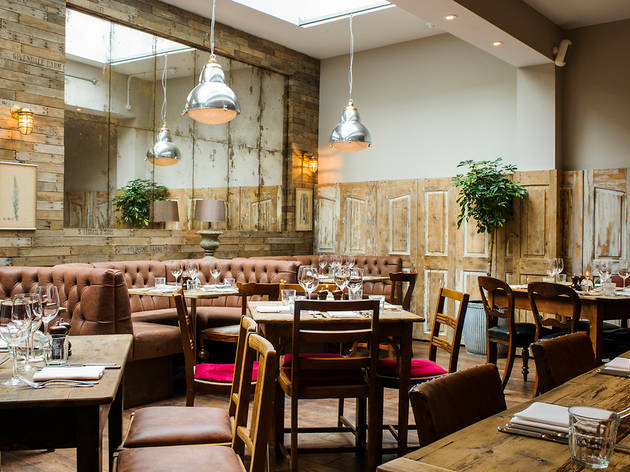 The decor and ambience does not disappoint, emblematic of the groups solid style, a gastro pub with a cosy feel. 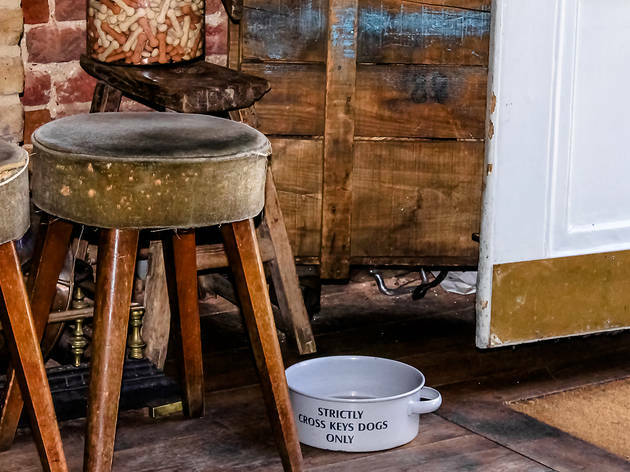 Expect natural materials, tactile woods, antiqued characterful mirror, 'Oh' and a little taxidermy on the side for good measure, well it is 2016 after all. The staff were pleasant and the evening was charming, spotted some decent cask ales hiding near a feisty looking hare with a shotgun. Just leaves the third member of the DM Group The Sands End to explore. 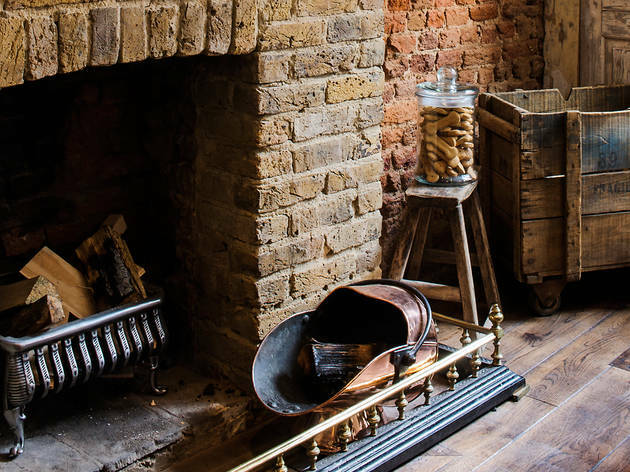 A fantastic pub with tons of personality and a welcoming atmosphere. We went on a cold winter night when the fire was roaring and the place was fairly quiet. The staff were friendly and knowledgable about the beers and wines. 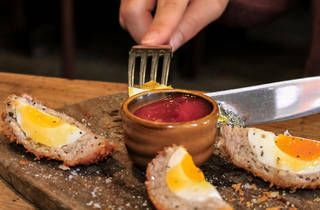 The scotch eggs are exquisite and should absolutely be sampled! Pop to the Painted Heron round the corner for a great curry and end the evening with a river stroll. 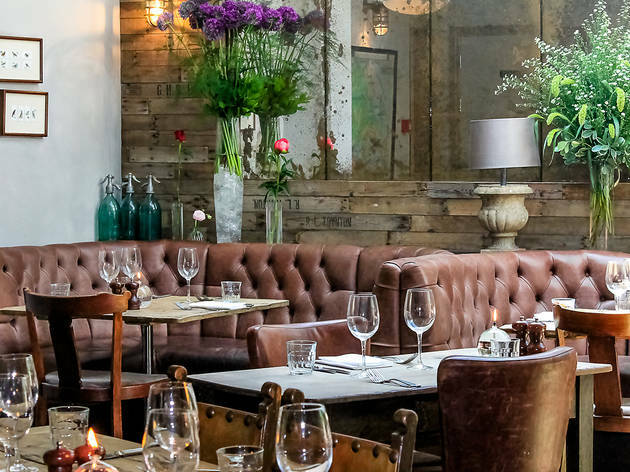 This is a fab little relaxed pub for a lovely afternoon and cool, casual Chelsea vibe. I went to watch the Grand National on Saturday and really enjoyed it. The staff were super friendly and when we ordered food we found out they try to write down what each person is wearing so you get the right meal without even asking! The food is traditional pub food and I cannot recommend the large scotch egg £5.50 (hmmm) enough and the sausage roll looked pretty yummy too. I had a fish goujon burger (or as the guy who served me called it 'fish sandwich lols' and it was heaven with great chips! From memory about £14 I think. Good beers on tap too although I'm a wine drinker and there's a hare with a gun at the bar. Course there is. 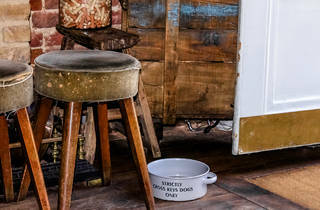 A pub with personality, enjoy! 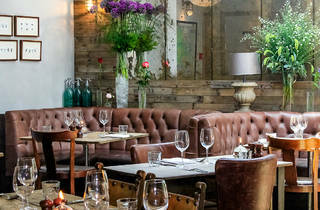 Charming top end Chelsea gastro pub - we came across it after a long dog walk in Battersea park. Dog friendly is key so is friendly staff, good house wine and Sunday roast - 5 stars - lovely place - I recommend! 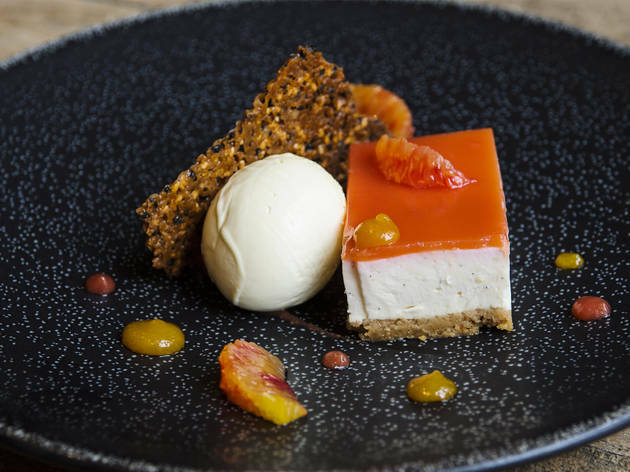 The Cross keys is an old favourite, great for a drink when in the area, has a lovely local feel and excellent for Sunday lunch. Can anyone confirm whether the photo is correct, or whether it is a wind-up - £6.50 for a Scotch Egg? Here's three stars in the meantime.